Applying a Promotion to a Sale is simple. For this example, we will use how to apply a Single-code promotion and a Product Sale promotion when processing a sale. 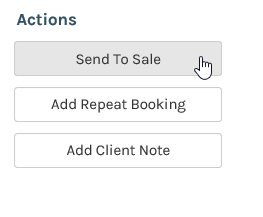 When the appointment is complete, click on it and then click on the Send To Sale link in the Appointment Options popup. The Apply Promotions popup will appear. 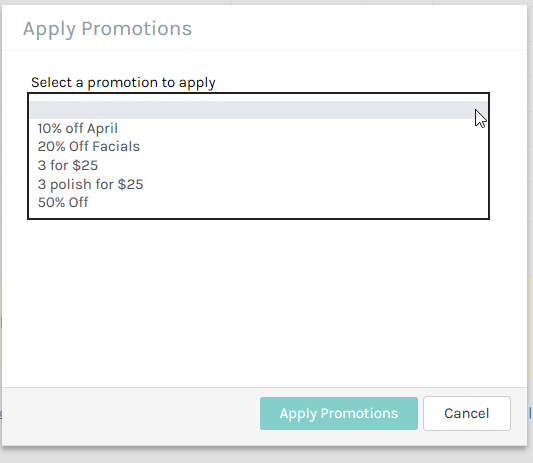 Select the promotion to apply and then Enter a promotion code (if need be) and click the Add Promotion button. If the Promotion Code entered is not correct the following message will appear. In the Sales screen, the discount will be applied and prices adjusted accordingly as shown below.